Nothing quite compares to a brisk walk on a cool, crisp day. And here in Dublin, we are spoilt for choice when it comes to fully-marked looped walking trails. Want to head out for a walk this weekend? Well, look no further. We have rounded up six stunning looped walks in Dublin, and there is something there for all levels of fitness and ability. 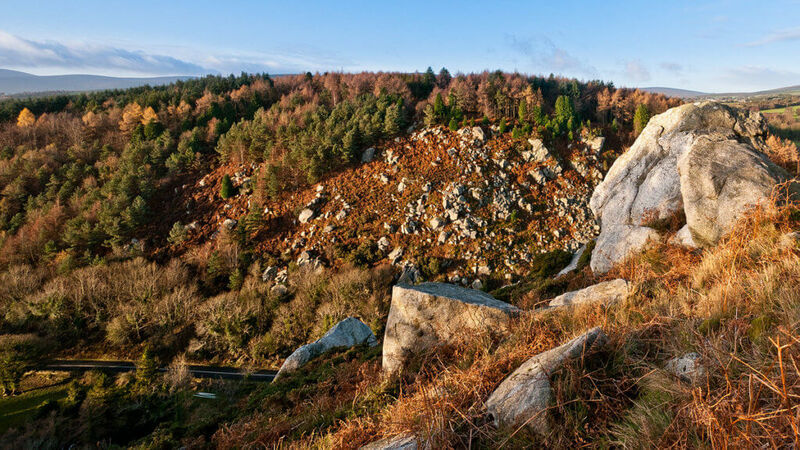 Offering spectacular views right across Dublin Bay and the Wicklow Mountains, this is one of Dublin’s most popular climbs. 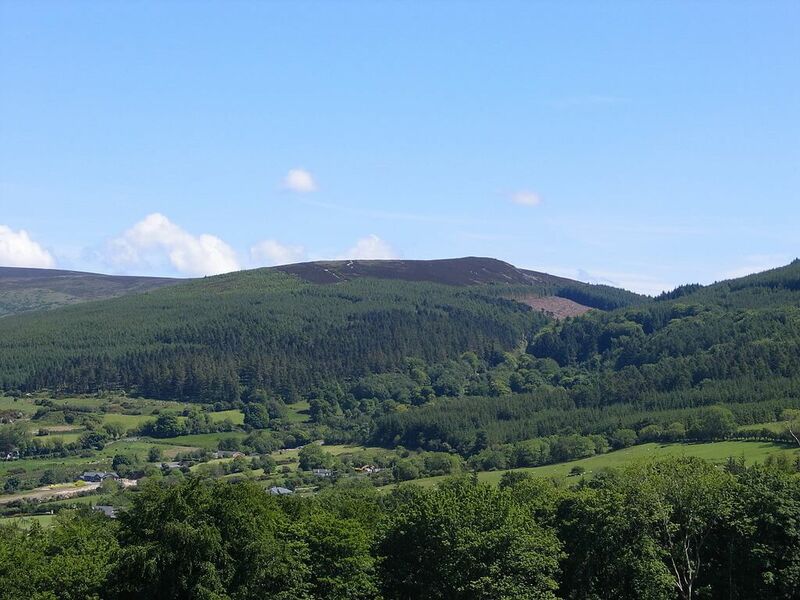 Ticknock offers a network of mountain and forest walks just a stone’s throw away from city centre. There is a tarmac road leading all the way to the top which is great for buggies. Or, if your kids are big enough, you can opt to take them on an adventure through the trees. The Fairy Castle Loop takes you up to the top of Fairy Castle, down to Three Rock and back to where you began via Ticknock Woods. Re-fuel: The Blue Light pub, situated at the foot of the Dublin Mountains, is great for a warm bowl of soup in front of the fire on winter days. Located on one of Dublin’s most distinctive natural features, the Scalp, this walk will be a firm favourite with your little ones. This narrow rocky pass was created by an Ice Age glacial lake overflow which has resulted in naked boulders along the steep slopes upon which goats graze. There are two looped walking trails here to choose from. The Pine Loop Trail (0.9km) is a gentle stroll through the forest while the Scalp Lookout Trail (1.5km) follows the Pine Loop Trail before taking a detour out to the breathtaking Scalp. Re-fuel: Pop into the Johnny Fox’s in Glencullen for some post-walk grub. There is always a lively atmosphere with live music playing and a large menu that will appeal to the whole family. One of our favourite hikes near Dublin. 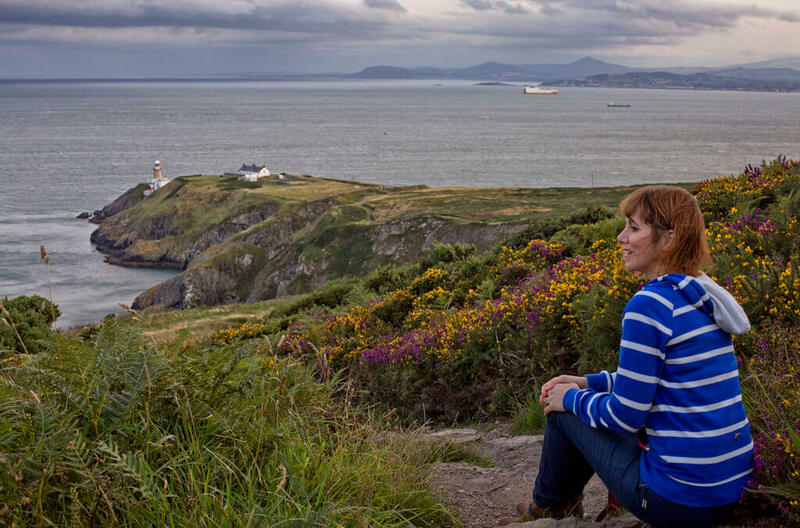 The cliff walk around Howth is a hidden gem that you could miss completely if you didn’t know it was there. The full loop around Howth Head is 12kms, but you can do an out and back from the north or south sides if you want a shorter option. Both have truly magnificent views! It’s a really rewarding walk with rugged cliffs, rocky coastlines, the Baily Lighthouse, remote beaches for swimming, sea stacks and plenty of climbing to get your heart pumping. The trail can be rocky and uneven at times so make sure you’re wearing the right footwear and don’t bring a buggy on this one. To get there, you can catch the DART from Dublin, or, it’s a 15km journey by car. The full loop would take around two hours and also takes you through a golf course, with a marked route for walkers. Re-fuel: There is no shortage of good eateries in Howth. On the weekends you can wander around Howth Market where there is a great selection of local produce. If you are in the mood for fish and chips, then we highly recommend Beshoffs. 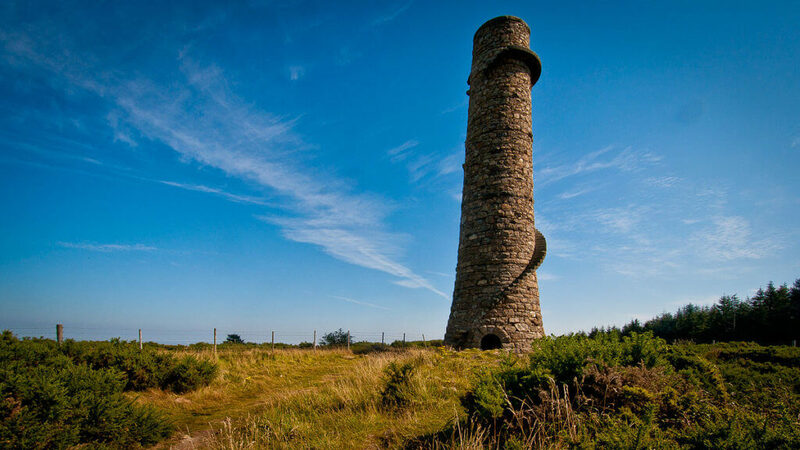 Two of the main attractions of this looped walk are the viewing rock at Carrickgollogan Hill and the now disused lead mine chimney. Lead mining and smelting took place at the Ballycorus lead mine in the early 19th century and continued until it was closed in the 1920s. The 2km route loops around in an anticlockwise direction around the forest, and you will see two optional detours if you want to take in the chimney and the viewing platform. We highly recommend both as the chimney offers spectacular views across Dublin Bay while the viewing rock offers one of the best views of south Dublin and north Wicklow. Re-fuel: Barry and Browne in the Carrickmines Retail Park serves up a delicious avo, eggs and toast. They also serve soups, sandwiches and a good selection of cakes and scones. 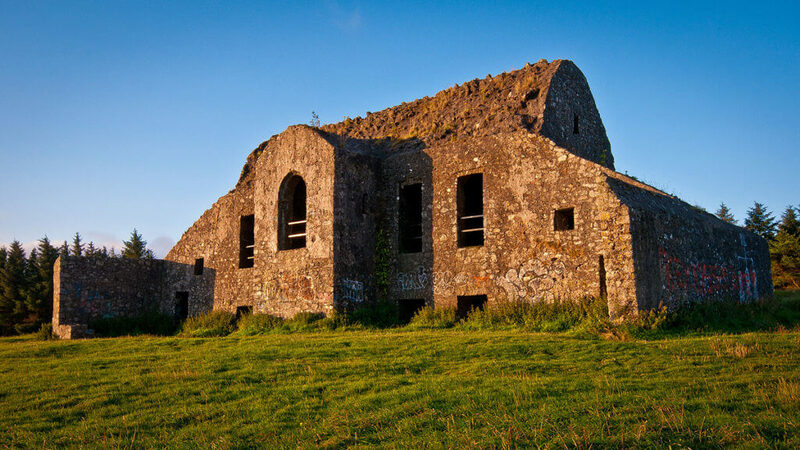 Massey’s Estate and the Hell Fire Club are two of Dublin’s most popular walks, and for good reason. Offering fantastic views, beautiful flora and fauna and heritage features to boot, you can keep on coming back here and never tire of the place. Massey’s Estate is home to the ruins of a magnificent mansion and walled gardens. These can be explored on the 1.5km Nature Trail. Across the road, the Hell Fire Club is a slightly more challenging walk, thanks to the steep climb of Montpelier Hill. Here sits the foreboding ruin of a hunting lodge as a backdrop to breathtaking views over the Dublin Bay. There are many legends associated with this place showing the Hellfire house as an object of occult activities and brief appearances of the Devil. There are two looped walking trails in the Hell Fire Club forest. The Forest Loop Trail (5.5km) takes in a loop of the whole forest while the Montpelier Loop trail (4 km) is a more gentle walk through the forest but takes you up to the ruins of the Hell Fire Clubhouse itself. Re-fuel: The Country Store and Café Timbertrove, just down the road from the Hell Fire carpark, is a great spot for a post-walk scone and a cup of coffee. They also do great cakes and delicious homemade soups. Tibradden Woods is home to Scots pine, Japanese larch, European larch, Sitka spruce, oak and beech. And examples of old pine woods planted in 1910 can still be seen to this day. Those with an eagle eye might also spot the Skia deer, foxes and badgers who have chosen to make this glorious woodland their home. The area is also of archaeological interest, and you can see evidence of this at the cairn and kist burial site on the south side of the rocks which mark the highest point on Tibradden. 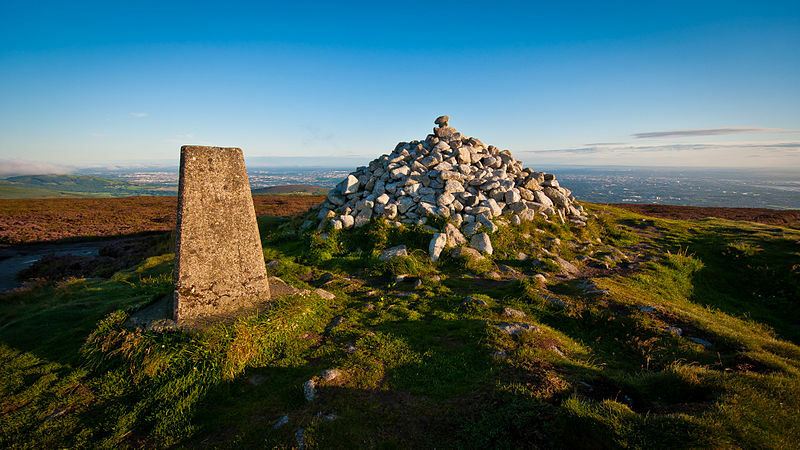 The Tibradden Mountain Trail (2.4km) is a gentle stroll through the forest with a short hike up the mountain up to the cairn at the summit, where you can sit back and take in the glorious views across the Dublin and Wicklow mountains. Re-fuel: The Merry Ploughboy in Rathfarnham is always good craic, and they do a mean plate of Chicken Wings along with other hearty pub grub. Coffee lovers should also check out Shaggy Dog coffee at the entrance to Cruagh Wood. If you enjoy city walks too, check out the Dublin Discovery Trails which allow you to really get under the skin of Ireland’s capital city and can be found on Visit Dublin.